• Thinner and lighter — 18% thinner and 20% lighter compared to a 4S, to be exact. The iPhone 5 is about as thin as the metal band that runs around the iPhone 4/4S. It weighs in at 3.9 ounces (112g). Apple claims that the iPhone 5 is the world’s thinnest smartphone, though with the fast pace of technology that surely won’t be the case for long. 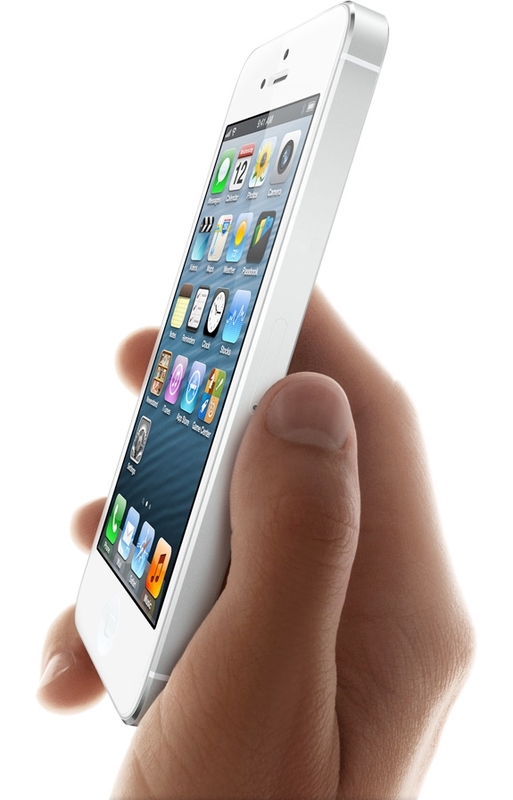 • Larger display — The iPhone 5′s retina display will expand to 4 inches diagonally. That’s up from the 3.5-inch display for the iPhone 4/4S. The increased size is achieved by entirely by expanding the screen’s length. That means that the iPhone 5 is the same width as the iPhone 4 but with a screen aspect ratio of 16 x 9 (the same movies are shown in) and with enough space for a fifth row of icons. The total resolution remains the same at 326 pixels per inch. • Improved camera and photography — Three major updates here: 1) A new dynamic low-light mode that betters the performance by 2 f-stops; 2) A panorama mode that captures massive 28MP images; 3) An HD-quality front facing camera that will improve Facetime quality. Among the more minor improvements: faster photo capture and the ability to take a photo while shooting video. • Better display — Though we suspect most blogs will stress the larger display size, equally important is the improved quality. The iPhone 5′s screen shows colors 44% more vibrantly than the iPhone 4/4S. Also cool: the touch sensors are built into display itself, which makes it less prone to glare. 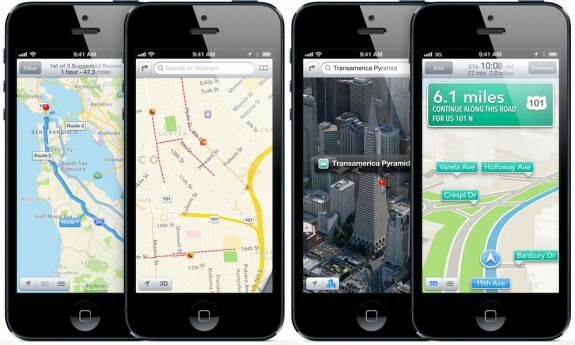 • New A6 chip — The iPhone 5 will have a noticeably improved performance — about two times faster — compared to the iPhone 4S. • LTE capability — For faster 4G data. 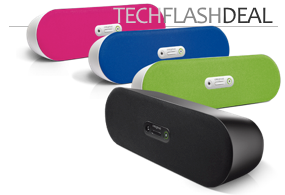 • Audio system – Unlike past iPhones, the 5 will ship with ear buds you might actually use. Dubbed EarPods, they’ll have noise cancelling and three microphones for hands free calling.The iPhone 5 itself will have improved speakers on the body. • New connector – For nearly a decade, iPods and iPhones have featured a 30 pin connector. That changes with the iPhone 5. It will use a much smaller (80% smaller) connector called Lightening†. (See top photo). Apple will sell an adapter but using it will be clunky with your current accessories. • Nano SIM card – The iPhone 5 uses a new kind of SIM card, the Nano SIM. This is step backwards in our opinion — no other phone currently uses this standard. • Battery life — Very slightly improved compared to the 4S. Some key specs: 8 hours of talk time, 10 hours of wifi browsing, 225 hours of standby time. • iOS 6 – Apple’s new mobile operating system has over 200 improvements. The most significant of those is the integrated mapping software. The new navigation app will have turn-by-turn voice directions and a flyover effect that has video game-quality 3D graphics. iOS 6 will also let you tweet from whatever app you are in. 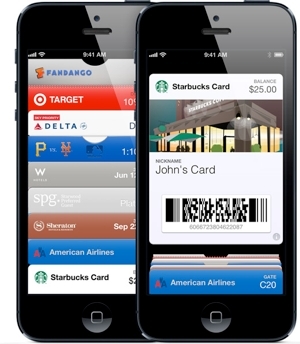 Passbook, a new digital wallet, creates a centralized place for your flight reservations, Starbucks card balance, and the like. iOS 6 will also work on the iPhone 4S. The iPhone 5 is, to Spot Cool Stuff’s eye, a semi-significant upgrade to the iPhone 4S. The larger screen, better camera and LTE capability are the highlights. Getting those in a thinner, lighter form factor, and at the same price as the 4S — that’s pretty great. 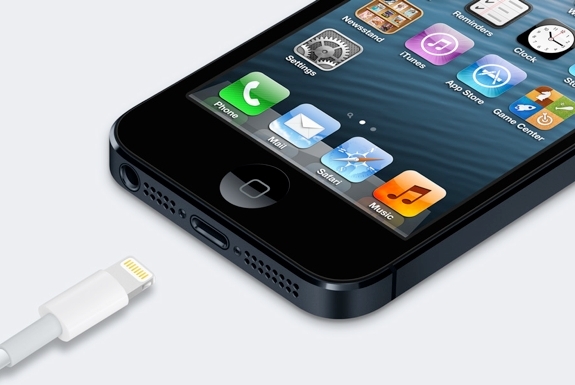 What’s not so great for those who have integrated an old iPhone into your lives is the new connector. That’s going to make all of your current 30-pin accessories either useable or clunky to integrate with an adapter. If you have plans to unlock your phone, the new Nano SIM card will initially put the brakes on that. And, though the iPhone 5′s display is larger, all the current third party apps will not stretch to fill that space, so you’ll simply get back bars at the top and bottom of your screen. That said, over time accessories will work only with the new connector, telecoms will sell Nano SIM cards and all iPhone apps will be designed for the new 4″ screen size. So — eventually — iPhone users will be forced into adapting the new standards. If you are on the fence about whether to get an iPhone . . .
. . . now is the time to do so! If history is any guide, the next version of the iPhone will be the iPhone 5s; it will likely come out about a year from now and be only slightly iterative. The iPhone 5 is the iPhone you’ve been waiting for. Be thankful you waited and don’t yet have any 30-pin accessories — the new connector doesn’t impact you. If you have an iPhone 3Gs or older model . . .
. . . you’ve presumably haven’t upgraded your phone for a long time because you don’t feel the need to have the latest and greatest. You also probably have a phone that’s gotten rather beat up over over the years. There’s good news for you: In the U.S. and Canada can now get an iPhone 4S for $99, or an iPhone 4 for free (! ), with a two-year contract. Check out our iPhone 4 vs 4S comparison and then contact your service provider (eg. AT&T, Verizon or Sprint) for more info. If you have an iPhone 4 or 4S . . .
. . . a lot of your decision to upgrade depends on how invested you are in your current 30-pin accessories. If you have multiple chargers, speaker docks, car connectors, et al with what’s now the old connector, you might want to get a bit more use out of those. Certainly don’t buy any new accessories and consider upgrading to an iPhone 5S when that comes out. Otherwise, there’s enough new WOW factor to the iPhone 5 that Spot Cool Stuff suggests upgrading. That’s especially true for people who use their iPhone as their primary camera — you’ll greatly appreciate the iPhone 5′s low light capabilities, panorama mode and other enhancements. If you want to have the absolute best smartphone on the market . . .
As a piece of hardware, the Apple iPhone 5 isn’t it. In general, iPhones do not have the most cutting edge designs and features. Apple is too cautious of a company for that. Their approached has served them well — with a few exceptions, iPhones have had no issues. Everything on them works. And that stability, along with Apple’s market share, have lead to a larger selection of apps for iOS than for any other platform. Of course, chasing the best smartphone is ultimately a losing proposition. There’s always a better model on the horizon. But for geeks and smartphone connoisseurs, we suggest the Samsung S3 Galaxy. Once it gets Android Jelly Bean (which should happen in October) it will be the bomb! What was most striking about today’s announcement: virtually everything new about the iPhone 5 had already been leaked in rumors. We might well look back on this date as the moment when Apple lost it’s ability to keep a secret. As for getting a new iPhone 5, it will be available for pre-order Sept 14th and ship on Sept 21st. The iOS6 update is expected Sept 19th. † The name is presumably meant to compliment “Thunderbolt,” which is Apple’s high-speed connector. But isn’t lightening and Thunderbolt the same thing? Personally I’d count iOS6 as a huge negative against getting the new iPhone. It’s a huge step back for Apple and a mistake from them which we’re not used to seeing. There are bugs aplenty and it’s basically crippled the performance on my phone (iPhone 4). So if iOS6 is anything to go by I certainly won’t be upgrading! I get the nay-sayers, but I LOVE LOVE my iPhone. Current have a 4 and was wondering whether to spring for a 5. Think this has convinced me to do it. Seriously.. I wouldnt get one. I dont want to sound like the meriad of propoganda posters but clearly Apple has been labled as the sweat shop kings of the phone market with its manufacturers breaking the rules of decency and moral responcibility. A side from that I was never really happy with Apple and its devices or its rediculous software rules. Its all about the money with apple and while you can purchase a ton of add on cables and devices for the Iphone series you need to have a good job just to support it. Myself I broke the Iphone habit with Android and boy oh boy am I glad I did. Good Luck Apple with the release of your new techno money sponge but I for one kicked the habit — happily. Apple wants to give authorities the ability to shut down our cameras. While under the pretence of “stopping piracy”, this will be far too easy for authorities to abuse – especially at protests and other politically sensitive events. Why would you buy something that you don’t have full control over? And why would you support a company that treats you like a naughty child?